You would like to make your first steps in the social game of 3DDuo but you don't know how? You know nothing about the Social Game and you wonder how the devil can it work? This page is made for you! You can discover here a brief but relevant presentation of the Code Lyoko Social Game, an irreplaceable component of the Lyokofan Community. 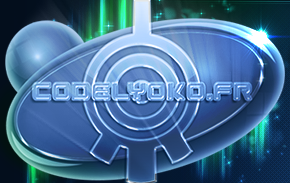 Moonscoop and 3DDUO are happy to announce that the Code Lyoko social game will be available as of the beginning of the second quarter 2012. Let us thank Jeremy, who managed to connect Lyoko to Facebook! New creatures await you there... Will you know how to eradicate them? And are they the sign of Xana's return? To find out, embody one of the 5 categories of characters in the game and destroy tarantulas and other monsters who have returned to Lyoko! Every category encompasses the particularities of one of the heroes of the series. So, whatever your style, you can embody it. Even William was not forgotten: the "warrior" characters are dedicated to him and use all his special attacks! Use super-sprints and other laser arrows in this contemplative fighting game completely immersed in the universe and atmosphere of the first 4 seasons of the television series. And as Yumi and Odd do, fight the enemies with your friends, their help will be decisive! And in case of big problems, the heroes of the series themselves might even come to your rescue. Follow this link and accept the application on your profile. The game begins! The game possesses its own dedicated site. Click on “Play for free”, and off you go! It will ask you to create a profile. What are the differences between the site and Facebook? None concerning the game. Everything will take place exactly in the same way. The game was initially created and launched on Facebook. The dedicated site arrived later. Connecting to Facebook on the site allows the players who already had characters created on the social network to import them into the game. On the other hand, be careful: if you begin a game on the dedicated site without linking your account to your Facebook, it will not be possible to export your saved characters there later on. And outside of Facebook, the game is much less used by players... So choose wisely! No need for a tutorial to do this. Otherwise, pay for a class in IT. You then have to choose your character. You can choose according to your affinities: Odd (Feline), Ulrich (Samurai), William (Warrior), Aelita (Guardian) or Yumi (Ninja). If ever you would rather choose a character according to their statistics, this page can help you in your selection. You will have no choice in what you wear at the beginning. You will begin with season 4 outfits and a small choice concerning the skin color and hairstyle of your character. You can buy more choices afterwards, whether it concerns hairstyles or outfits (the ones from seasons 1-3 and Code Lyoko Evolution). Your character is ready? You may begin to play. Don't panic: Jeremy will tell you what to do! To progress in the game, you need to win fights. To win fights, you need to begin them. To begin the fights, you need to have energy. Energy regenerates in time. Currently, every player wins an energy point every 5 minutes (the clock is inside the game, your energy reserves will swell even if you are not logged into the game). This energy allows you to fight. 5 points of energy are needed to start a fight. The game is contemplative, which means that the fight will resolve itself before your eyes without you having to give any commands or use any special techniques. Since the update of February, 2013, Hornets will fly by in random way during the fights (keep a close eye out for them). You will have to kill them by clicking on them, for some will give you experience, energy, and even Lyoko-Points. The link to Code Lyoko? Your opponents will of course be the XANA's monsters, which you face with your Lyoko Warriors. The fights take place in the Sectors, which you will cross one by one (you start in the Forest, then the Desert, Ice and Mountain). XANA's monsters will appear in order of power: Kankrelats, Bloks, Hornets, Krabs, Tarantulas, Megatanks, Mantas, clones of the characters ("evil" versions of the CLSG characters), Tyron's Ninjas, and finally the Scyphozoa. At the end of the fight, either you have won and you progress with an Experience (XP) increase, or you lost and you will have to restart the fight later. The fights you have already won can be redone aver and aver again (within the limits of your available energy), which allows you to gain XP and thus to never remain stuck. If for example you are stuck on fight number 20, nothing prevents you from redoing the fights 15 through 19 several times so as to come back with a more powerful character. Let us note however that finishing a fight which you have already won will earn you less XP than the first time. After all, your speed of progress will depend on how you manage your experience: either you are the type of person to do the same fights over and over so as to boost your character before moving onto higher-level fights, or you are the kind of person who tries to progress quickly by redoing the fights the least amount of times possible. Every time you gain a level, you have a choice between two powers. In all, there are 20 powers which are common to all the characters, with 5 extra which are specific to every hero. Almost all powers each have four power levels. It therefore takes a while to acquire powers. For more information on powers, consult this page. Main and secondary quests allow you to obtain Lyoko-Points. Lyoko-Points are the currency of the game. And by sacrosanct laws of money-earning, you can convert your real money into Lyoko-Points. These Lyoko-Points allow you to buy different elements in the game. They also have other utilities which you will discover when you will know the game a bit better. You know the principle: there is nothing that you cannot buy. And at the end? Once you have arrived at the end of this very long succession of battles with your character? We offer you a new character (without charging any Lyoko-Points). You have the choice either to continue with your initial character to make them win levels and bolster them as much as you can, or you can take this new character and start the game over again: on the road again. The combat system is particular. The whole fight is thus only an extremely complex game of chance based on the probability you have of hitting the enemy and the probability that the opponent counters your attack or takes the hit, in a normal, minimised or amplified way. You also have the possibility of analysing the fight to know your percentage of success (it will cost you some of your energy, unless you possess analysers). Last point, why is this a social game? Every player can choose up to 100 "friends" in the Facebook game. It is nevertheless necessary to choose among the people with whom you really are friends on Facebook (after all, concerning real life, that is a completely different matter...). Why are friends useful in the game? You can fight your friends once per day. It is free and earns you back some energy. You also win some experience (in small quantities). Finally, what is the Lyoko League? 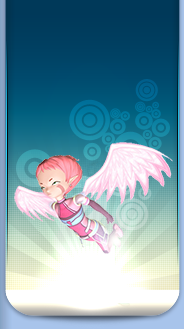 The Lyoko League allows you to fight once a day with 3 people at random (among the players on your level). XP for the winner and the shame for the loser. There is a class in the Lyoko League in which the players compete. This will be all for this small presentation. The quick access below will allow you to dig deeper into the game by navigating through the various pages in this section. If you are a beginner and you are just looking for help starting the game from the other players, go see the Community page. Furthermore, if you wish to discover more about how the game works and about its combat system, if you need help, or advice or tips, we send you back to towards our partner: Shana. Expert player of 3DDuo's Code Lyoko Social Game, he has his own blog where he offers his help to other players, and on which he regularly posts "tricks" concerning the game. They concern analysis and calculations based on the internal functioning of the game and the fight probability system. Created and maintained by Shana, in French. They're small, animated images of characters and monsters.